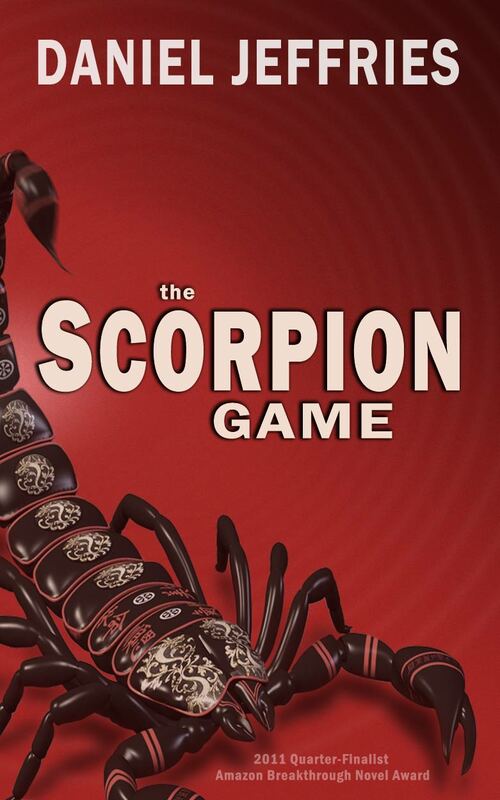 Just started reading my copy of The Scorpion Game by Daniel Jeffries, which is now available to buy for the Amazon Kindle, and I’m excited about it all over again. I helped to co-edit this story, and re-reading it has reminded me how much fun it was to work on, and also how intimidating it was, because it’s just that good. This writer has STYLE. Daniel Jeffries put a ton of work into this (visit his website for some awesome articles on his writing process and philosophies), and The Scorpion Game proves how hard work pays off. It’s got believable characters, realistic dialogue, a great plot, and the world-building is beyond cool. The story is set in a dark and gritty future with biotech, nanotech, artificial weather, augmented humans, bioluminous hookers, bartenders with fiber-optic dreads, living buildings, virtual minds — seriously, it has it all. This is lovely, dark, psychedelic science fiction that will take you somewhere completely unforgettable.